Gershwin's Prelude No. 2 has been arranged for cello and guitar by Valter Dešpalj, professor of cello at music academies in Zagreb and Liechtenstein. A graduate from the Juilliard School, Mr. Dešpalj studied cello under Leonard Rose and chamber music with Felix Galimir and the Juilliard Quartet. Mr. Dešpalj has performed all over the world, held guest professorship at conservatories throughout Europe, and been an editor of cello music with major music publishers. 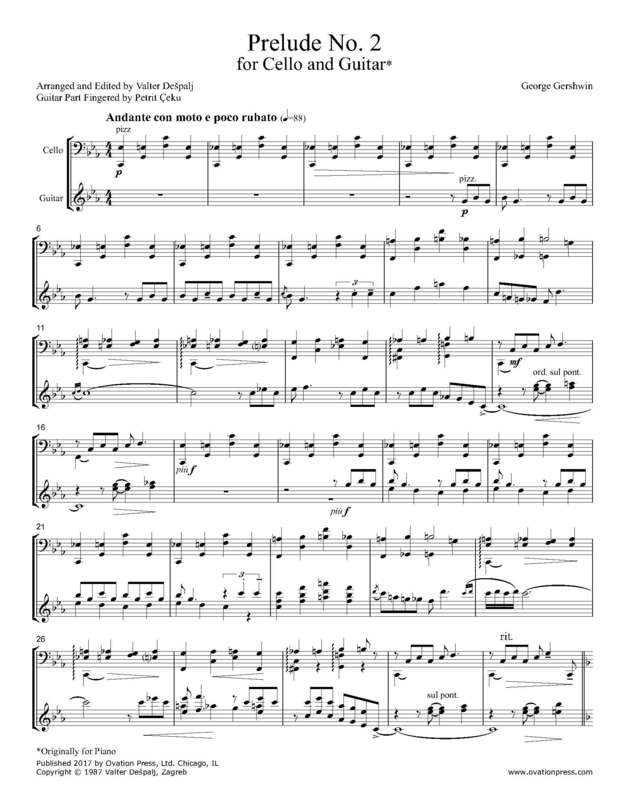 Instantly print this exclusive arrangement of Gershwin's Prelude No. 2 for cello and guitar by Valter Dešpalj! Please note: This score is only available for purchase by customers located outside of the USA.